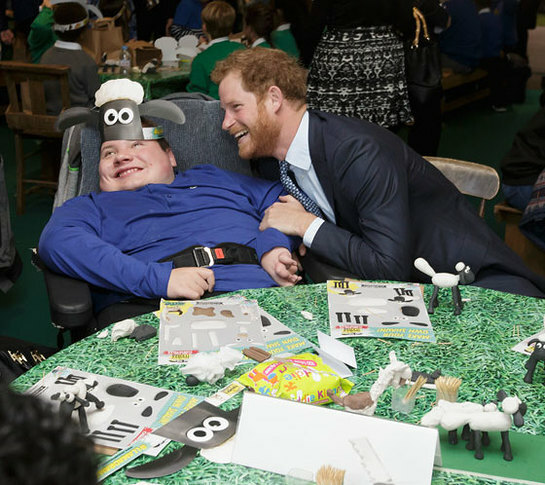 The Duke and Duchess of Cambridge and Prince Harry joined children from the charities they support at a creative industries-themed Charities Forum event, hosted by BAFTA and Aardman. Their Royal Highnesses visited BAFTA’s in-house theatre where Aardman screened the premiere of their next animated special Shaun the Sheep: The Farmer’s Llamas. The Duchess of Cambridge also took part in a special animation workshop. 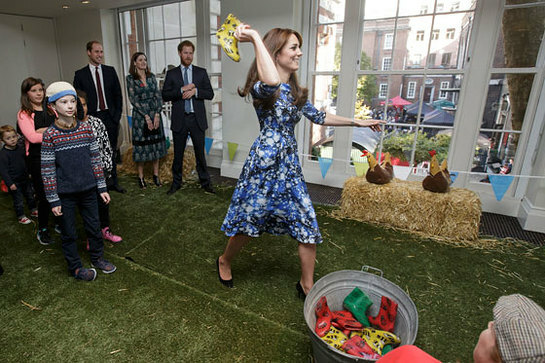 Their Royal Highnesses then helped groups of children, supported by charities such as WellChild, The Scout Association and the Child Bereavement Charity, make Shaun the Sheep themed models as well as putting their throwing skills to the test in a Welly Wanging competition. Art therapists from a number of the organisations involved in the Forum were invited to join the Aardman workshops to network and share best practice. The day’s activity also offered an insight into BAFTA’s ongoing ‘BAFTA Kids’ programme that shares expertise and creative excellence with children. The event concluded with an informal meeting of The Charities Forum, the collection of charities of which The Duke and Duchess of Cambridge and Prince Harry are patrons or work closely with. Today, there are over 30 organisations involved in The Charities Forum, which aims to bring Their Royal Highness’s individual charitable interests together and to explore how they could best lend their support to them all in an effective and efficient way. The group meets biannually, with organisations taking it in turns to host. The meetings provide an opportunity for the charities to update Their Royal Highnesses on their recent activities and projects, and also provide a platform for collaborative activity between the organisations. Opportunities to support each other are explored at meetings, relationships are developed and bilateral work is initiated, often between charities and organisations that would not ordinarily have been linked through the course of their own work.